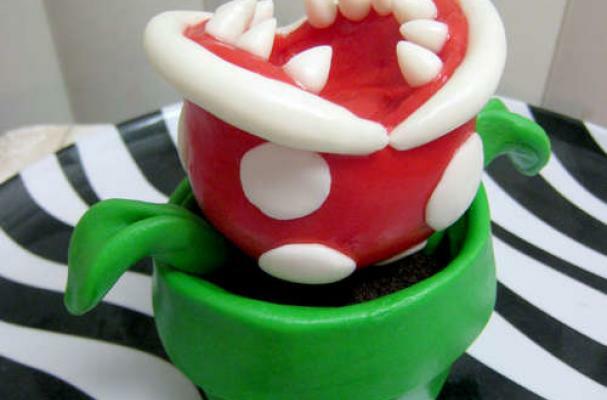 Fans of the Super Mario Bros. will instantly recognize the nexus of this piranha plant cupcake. The toothy, tooned plant is a bit time intensive, but the final result is completely edible. The piranha plant cupcake was made by Instructables user KristyLynn84, whose Micro Cupcakes we covered back in June. Its details are made of marshmallow fondant, piping gel glue and a few pretzels to hold everything together. I love Mario, this is a wonderful blast from the past. I love that fact that these things used to eat you, now I could happily sit and munch one of them! Good work.